Storage Space may sometimes annoy us when it gets full and after that, we need to compromise a bit by deleting some files. While every smartphone nowadays come up with the external memory card slot so that you can expand your storage whenever required and some even have big internal memory. But when it comes to iPhone or iPad what is the solution to this problem. As much as you love your iPhone don’t you always wish it could have more space? 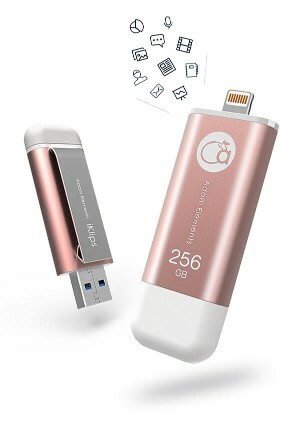 Don’t worry we have figured out a solution to this problem a unique product called as iKlips – World’s fastest Apple lightning flash drive created by Adam Elements. With iKlips you can expand your storage space on any iOS device and quickly transmit data between iPhone, iPad, Mac and PC without the use of the Internet, Cloud system or iTunes. Let’s brief through the highlight features of this great product – iKlips. Transfer anything from your PC or Mac to iPhone, iPad or vice-versa. 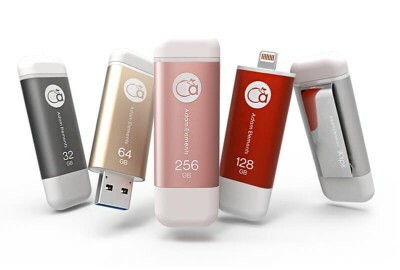 Expand your phone space to store or access photos, movies, music, and backup. With an extra special clips design, this flash drive is very easy to use and comes in handy in many situations. It is Engineered to support USB 3.1 which boosts up the transfer speeds for those big files so that you do more and wait for less time for any task. Sharing becomes easy with iKlips, whatever you want to share just clip it to your device, save it and then share it. You can easily exchange data with your friends by just giving them your iKlip and afterward they can access the data in it like the movies, songs, documents, and stuff. 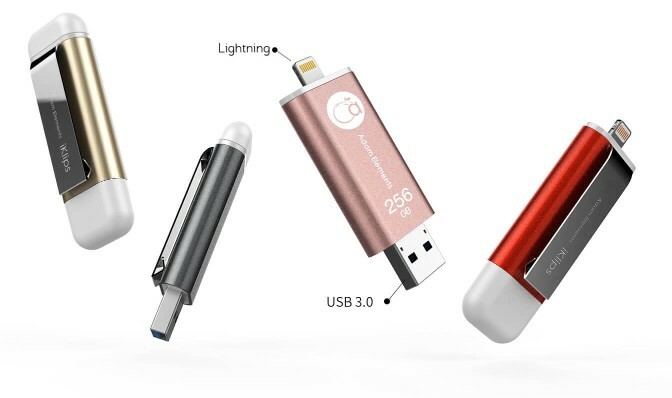 It comes with the award-winning lightweight Aluminium design with built-in clip on the back so that you can clip it to your bag or pocket and its hard to lose. iKlips is available into 4 Color Options – Rose Gold, Gray, Gold, Red. The best part of iKlips is that it supports exFAT which means there is no limit to individual file sizes. iKlips has been fully certified and licensed by Apple as a product made for iPhone, iPad, and iPod. It’s a great product to have as it provides easy access to our data which can be easily transferred or stored on our device. iKlips are available to purchase from the creators Adam Elements website here. Samsung Galaxy Note 9 : The Most Powerful & Innovative Smartphone of the Year!